When stopped by at a service area in New Jersey last weekend, and I found jam, jelly and honey at Popeyes. 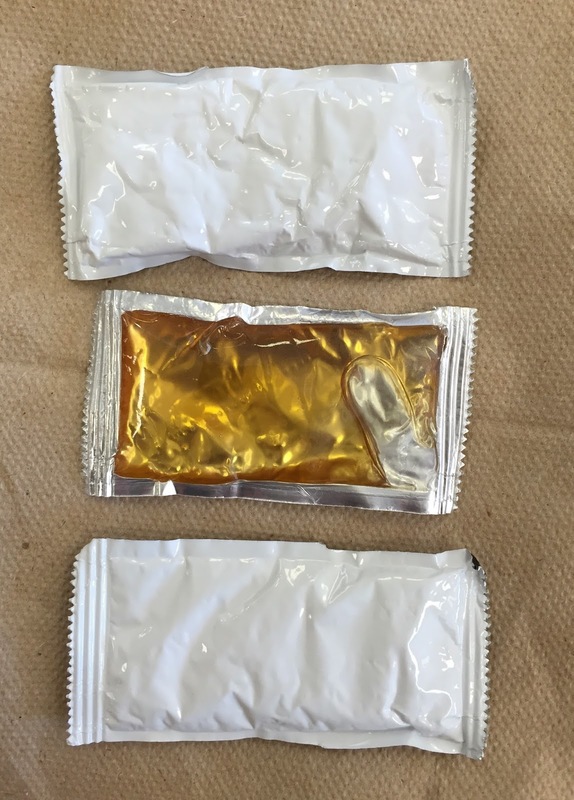 We've never seen any sweet sauce at Popeyes before. 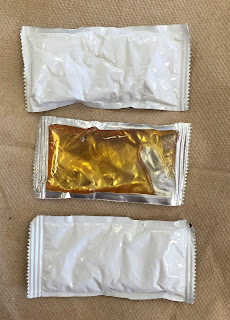 Only honey pouch had the transparent back side. 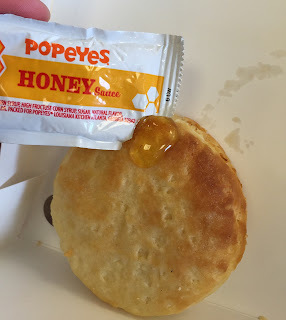 I added honey, and it just tasted like "biscuit and honey." 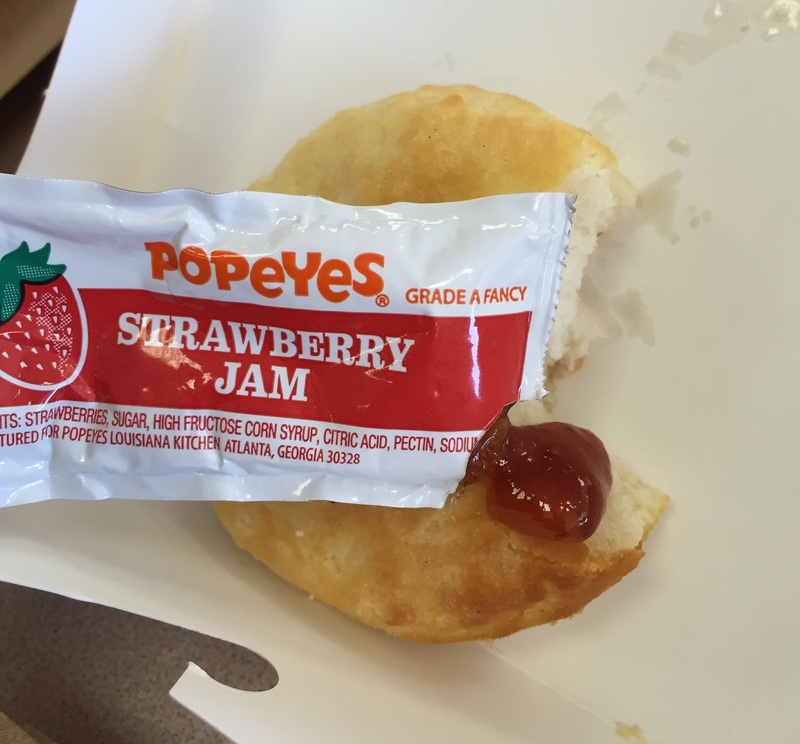 Strawberry jam made this less-baked-than-usual biscuit taste very close to scone served at afternoon tea. 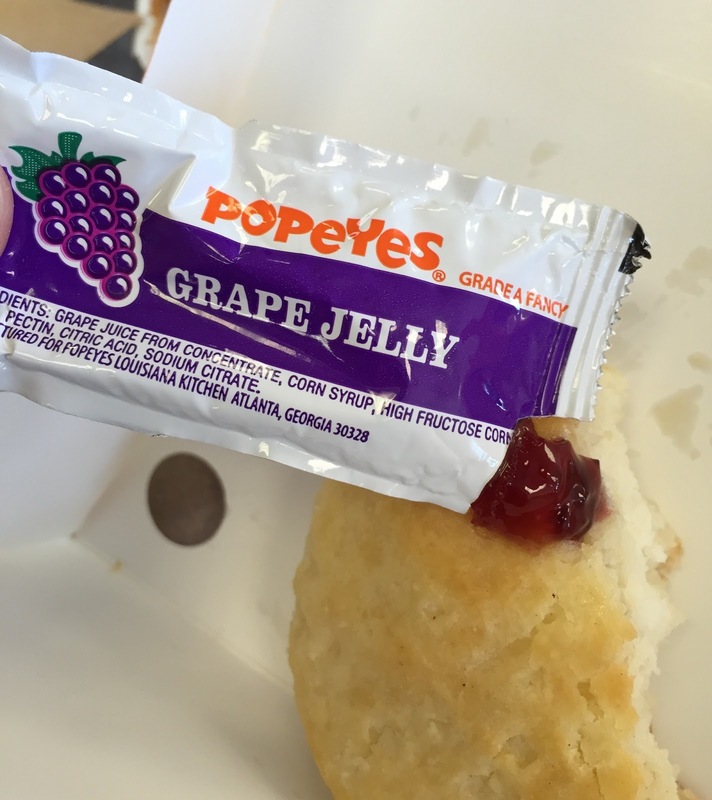 Grape jelly didn't have much taste and butteriness of the biscuit was much stronger.